Kodiak Bible Chapel supports missionaries who are called to different types of ministries, but share the same goal: Bringing the Gospel of Jesus Christ to the whole world! 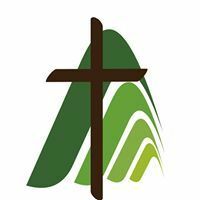 As a member of the Christian and Missionary Alliance, we support the C&MA’s missions initiatives around the world through CAMA and the Great Commission Fund (more on that below). Click on the organizations we support below to find out more about work being done in Kodiak and around the world! Unlike other organizations, the Christian and Missionary Alliance does not require its missionaries to raise their own support. Instead, missionaries and their ministries are financed through what we call the Great Commission Fund. C&MA church members and friends give to this fund regularly. We support BOTH SEND International and SEND North. or email us at info@sga.org. We minister among unreached people groups, we work in the tribal culture and language, we present foundational Bible teaching, & we establish mature churches. TBC is located in the community of Port Alsworth, Alaska. Port Alsworth is on the east shore of Lake Clark at Hardenburg Bay. It lies in the Lake Clark National Park and Preserve, approximately 160 miles southwest of Anchorage. Like so many of the rural communities it serves, Tanalian Bible Camp is only accessible by air. We have partnered with a seminary in Jinja, Uganda called Global Theological Seminary (GTS). As you may recall, our mission is to empower individuals and organizations in Uganda to meet their needs in culturally relevant and sustainable ways. The primary means by which we accomplish this is through discipleship, vocational training, business training, and leadership training. ​As we seek to reach the least-reached in Russia, Alaska & Canada, we live in their communities, learn their culture, language & the things they value & care about. We build friendships with them, sharing the ups and downs of life with them. Over time deep bonds of love & trust are formed, & it is through these relationships that whole-life discipleship happens. ​We believe that everyone—even the isolated—deserves a chance to experience the love of Jesus Christ. ​Village Missions exists to glorify Jesus Christ by developing spiritually vital churches in North America. We do this by equipping missionaries to serve in rural communities. ​Our mission is to proclaim the Gospel of Jesus Christ through sports training and to provide families and individuals the opportunity to share their passion for Christ and sports and arts with children of other cultures around the world. ​ReachGlobal's ambitious vision to impact 100 million people with the gospel over ten years, is well on its way through deep partnerships and empowered disciples who are making disciples in their own native context.